Space to relax, connect, play, think, celebrate, socialize, entertain, rest, and recharge. Life is too short for living in a home that doesn’t work. Your home is where you make memories, and it should be designed to allow that to happen effortlessly. Imagine what it would be like to have someone on your side, helping you create a home to suit your life! 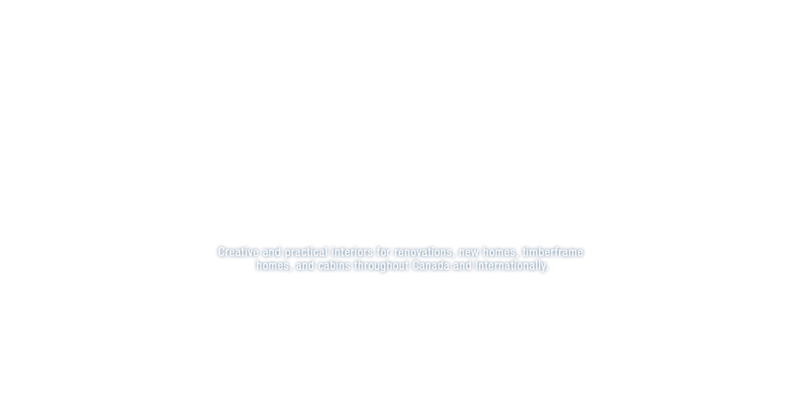 We are Canada’s Timber Home and Cabin Interior Designers. We know about all the design possibilities these iconic structures offer, and have worked with many of the top timber and log fabricators in Canada and the United States. These homes are a totally different kind of animal than a conventionally constructed home, adding endless layers of both opportunity and challenge. We guide you to make the best decisions and get the most out of your investment. Renovations can add tremendous value to your home – be it for your own enjoyment or resale. But they can also be very challenging projects and the industry is filled with horror-stories we can help you avoid. We know what questions to ask and how to work with the contractor to ensure all structural requirements are addressed while creating a space that transforms your living experience. We’ll help transform your dustbowl into a delight! A house only becomes your home when the furniture, accessories, and art are in place. If carefully curated, they provide your home with soul, personality, and most of all, comfort. We offer a wide range of ready-made and custom furniture, fabrics, drapery, and window coverings to suit every style and budget. We also split our design discounts with you to ensure you save money.